Read our article to get LG G5 firmware download for all phone models and regions. LG G5 is flagship smartphone of the South Korean company. LG G5 was released in 2016, and even today it is one of the best device in mobile phone market. The smartphone is available in different models in different markets around the world. For example, LG G5 in Europe has model number H850, in Taiwan - H858, Verizon - VS987, AT & T - H820, T-Mobile - H830, etc. 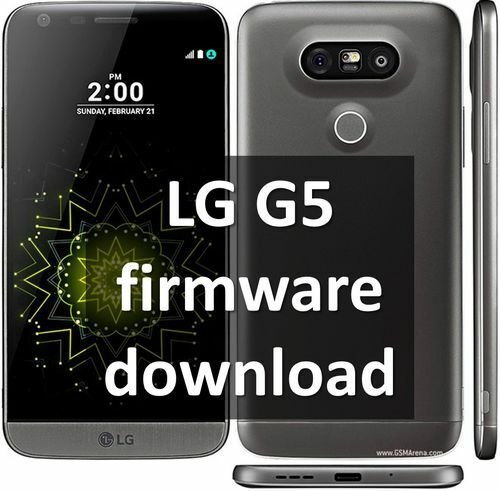 Here you will find LG G5 firmware download for all models of the smartphone. You perform all actions with the phone at your own peril and risk. We did not check any firmware. We will provide links to official communities where you can ask additional questions about installing and using LG G5 firmware. In particular, this applies to custom LG G5 firmware. Now let's look at the official and custom LG G5 firmware download. Click here to download all the latest official firmware for your LG G5 smartphone. The website is updated with the release of each new firmware. You can download LG G5 firmware for any model, for example, LG AS992, LG H850, LG RS988, LG VS987 and many others (total 15 different models LG G5). Also you can use custom LG G5 firmware, which offer more customization and settings than official ones. Details and instructions for installing each firmware you can read by the links. Leave the comments below if you have any questions about LG G5 firmware download.